This Companion provides an accessible introduction to Martin Luther for students of theology and history and everyone interested in the life, work and thought of the first great Protestant reformer. Historians and theologians present a complete picture of Luther's major writing themes and the ways in which his ideas spread and continue to be important. The Companion is oriented to those with little or no background in Luther studies, as well as teachers and specialists. 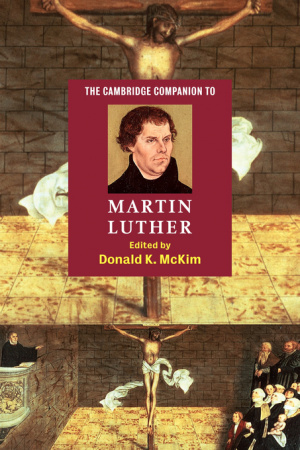 The Cambridge Companion to Martin Luther by Donald K McKim was published by Cambridge University Press in July 2003 and is our 35266th best seller. The ISBN for The Cambridge Companion to Martin Luther is 9780521016735. Be the first to review The Cambridge Companion to Martin Luther! Got a question? No problem! Just click here to ask us about The Cambridge Companion to Martin Luther.